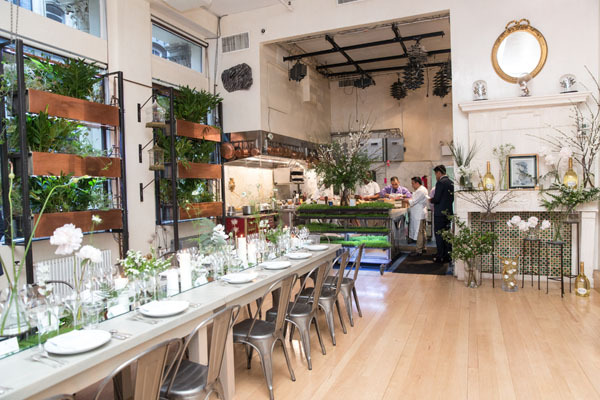 Art and tech innovators joined Ruinart Champagne, the first established Champagne House, in support of NEW INC, the first museum-led cultural incubator, for an organic springtime meal prepared by renowned chef David Bouley. Attendees included Jia Jia Fei, Chloe Wise (artist), Carly Mark (artist), Perry Chen (Kickstarter Co-Founder & Chairman), Antwaun Sargent, Marlies Verhoeven Reijtenbagh (The Cultivist Co-Founder & CEO), Karen Wong (New Museum Deputy Director), Julie Solovyeva (Art Basel Director), and Tamir Muhammad. Rising creatives and NEW INC members Elaine Young and Jakob Kudsk Steensen showcased their recent projects, awing the crowd. Elaine creates jewelry that contains plant, animal and human DNA and apparel that features visual essays and scientific images, while Jakob develops futuristic simulations of existing real-world landscape with the aim of generating new types of ecological awareness. 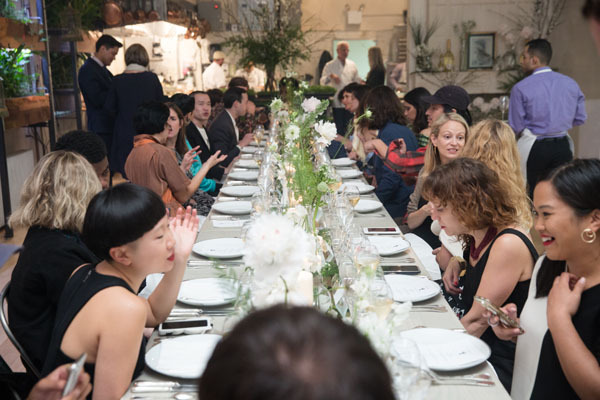 This was the second dinner in a series between Ruinart and the New Museum that will continue throughout the year. At the end of the year, Ruinart will surprise a NEW INC member with a scholarship to help them pursue their passion project. PreviousPrevious post:KING’S HAWAIIAN® MAKES YANKEES DEBUTNextNext post:SEAMORE’S QUALITY SEAFOOD, DONE RIGHT!